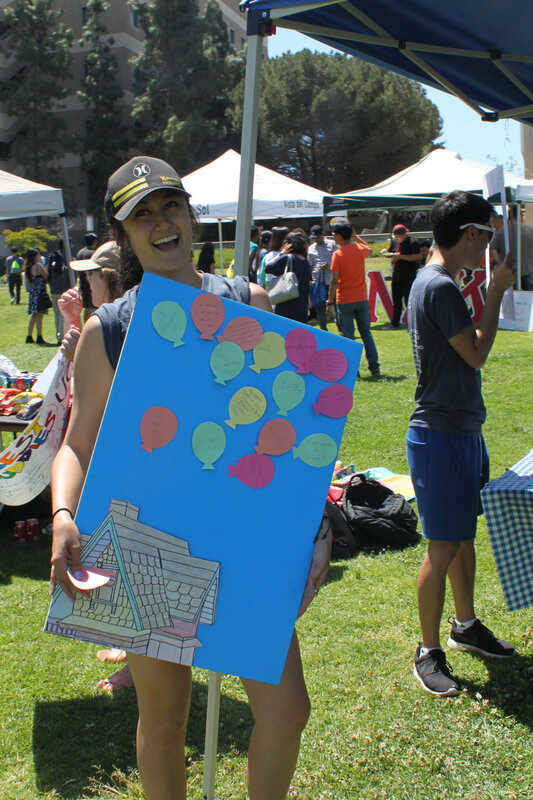 The Anteater Involvement Fair (AIF) is a place to showcase our 620+ clubs at UCI’s campus! Yes, we have that many clubs, which means there is something for you to do! AIF takes place in Aldrich Park, our 21 acre park in the middle of the campus, and everyone comes out to booth: from Greek Life to Club Sports, AIF is the way to get involved and see what UCI has to offer. As a first year, I was in awe of the AIF - I walked with my resident advisor and my hallmates to Aldrich Park, determined to get involved. There were people everywhere; the sound of laughter and people shouting about their clubs filled the air. I took a deep breath as the wall of friendly faces and handshakes started to reach me. Hesitantly, I approached a booth, and dove in. My first year, I gathered as many flyers, free gear, and candy as possible while signing up for newsletters and club meeting reminders. At AIF, I signed up to hear more information about Global Connect @ UCI, my very first involvement on campus (unknowingly, writing down my email address on their recruitment sheet was signing my soul over for four years, but that’s beside the point). Bring a small backpack - there will most likely be free stuff! Sign up for everything - you can always unsubscribe! Also, clubs bring their dogs. If that’s not enough motivation to go, I don’t know what is.